Climate change affects all life forms, including parasites, bacteria and viruses. Many diseases are sensitive to changes in humidity, temperature and precipitation (1). Among them are some of our planet’s greatest killers, such as malaria and cholera. Others, though less deadly, are still dangerously debilitating, including Lyme disease, hantavirus and dengue fever. Cold temperatures are a powerful barrier to pathogens, limiting their geographic distribution. Climate change models predict that summers will be longer and hotter, and that winters will be milder. As the province warms, diseases that are typically restricted to tropical and subtropical areas could become more common in Manitoba, with disastrous consequences. Climate determines the distribution and growth rate of vectors. For example, mosquito reproduction is limited to larger bodies of water during cooler summers. During hot summers, larvae can complete their life cycle in almost any water-filled container. Climate limits the geographic distribution of pests. Malaria extends only to places where the minimum winter temperature reaches no lower than 14-16°C (3). The mosquito types that can carry malaria cannot survive colder temperatures. Increases in temperature affect vector development. The life cycle is shortened, cutting the time necessary to develop from egg to adult. As a result, smaller adults emerge and must take more frequent blood meals to develop eggs (4). Faster adult development also means faster generational turn over, which means even more mosquitoes. Which means more biting. And every bite is an opportunity to spread disease. In healthy environments, predators such as coyotes, foxes, owls and snakes keep rodents in check (5). Fewer rodents means less Lyme disease, hantavirus, arenaviruses, leptospirosis and human plague. 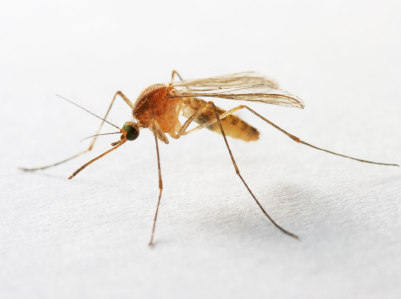 Mosquito populations are usually controlled by fish, frogs, birds, spiders, ladybugs and bats. They are our allies in stopping the spread of disease. As a result, prey are released from their biological controls and flourish, and with them, the diseases they carry. Temperature affects pathogen development within the vector (6). The incubation period (the time from infection of the vector to transmission to humans) decreases with increasing temperature (7). Diseases will reproduce faster inside their pest carriers as our climate warms. Mosquitoes are likely to be among the first organisms to extend their range as climate change make new areas more accessible (8). Tropical diseases carried by mosquitoes have the potential to push north as climate change raises global temperatures. Small outbreaks of cold-restricted diseases carried by mosquitoes are now occurring north and south of tropical regions, as predicted for us by early climate change models. In North America, malaria and dengue fever are already among the new arrivals. Mosquitoes are described as the most dangerous animal on earth because of their role in transmitting malaria. Approximately 300-500 million people suffer from malaria every year (9), while over 2 billion people are considered at risk from contracting the disease (10). With a predicted 3°C rise in global temperature, 50 – 80 million additional cases of malaria will occur each year (11). Malaria is caused by a tiny parasite called plasmodium carried in saliva of mosquitoes. The parasites reproduce inside red blood cells, destroying them as a new crop of malarial parasites and toxins are released. Victims suffer from fever and chills, headaches, vomiting and other flu-like symptoms. If untreated, loss of red blood cells causes anemia and jaundice. Capillaries that carry blood to the brain and other vital organs can become clogged with cells, causing brain damage, coma and death. Some strains of malaria are resistant to treatment. Malaria has already made an appearance in Canada. During a particularly hot, humid period of weather in the 1990’s, locally transmitted malaria occurred in Toronto, as well in the northeastern (New York, New Jersey) and north central (Michigan) United States (12). Dengue fever is a tropical disease caused by virus (Arbovirus), transmitted by the bite of an infected mosquito of the genus Aedes. It causes a flu-like illness with fever, headaches, and severe body aches, which gives the virus its alternate name of “breakbone” fever. There is no vaccine for dengue fever, which becomes increasingly fatal with successive infections (13). The mosquitoes – Aedes aegypti and Aedes albopictus – that carry dengue fever are present in the southern United States (14). Cases of dengue fever have occurred in Texas, but outbreaks have thus far have been restricted to Central American countries such as Cuba, Costa Rica and Mexico. Warming trends that accompany climate change would increase the range and frequency of dengue in North America. The incidence of malaria, dengue, yellow fever and other mosquito-borne diseases is predicted to rise in North America with climate change. With it, the probability that an infected individual could visit or return to Manitoba will also increase. The traditional vectors specific to malaria and dengue are not yet present in Manitoba. But we should not assume that we will be safe. A malaria outbreak in Toronto resulted from local mosquitoes – likely Anopheles quadrimaculaltus (15) – feeding from an infected person. The disease passed to others through subsequent blood meals. This mosquito is also native to Manitoba. Manitoba has 38 mosquito species, including those in the genus Aedes and Anopheles, some of which can transmit Dengue and malaria (16). It would be disasterous if these diseases became established in our hardy, cold-tolerant local mosquitoes. Manitobans pay approximately 3 million dollars a year for mosquito control – for comfort sake, not for health reasons (17). The cost of mosquito eradication would increase to control the spread of disease. Like mosquitoes, rodents are highly adaptable. They will respond readily to disturbances in the environment brought about by climate change. Rodents reproduce fast – some species produce up to seventeen litters a year (18). They eat whatever humans do, and thrive on contaminated water and food. Hantavirus pulmonary syndrome was first described in 1993, after an outbreak in the southwestern United States (20). The 1993 outbreak, as well as another in 1998, were associated with extreme weather conditions (21). Since its discovery, over twenty cases have been recorded in Canada (22). Two fatal cases of hantavirus have occurred in Manitoba since 1999. Both victims were residents of the southwest part of the province. The illness begins with flu-like symptoms – fever, muscle pain, headache, upset stomach – and quickly progresses to respiratory and cardiac distress (23). 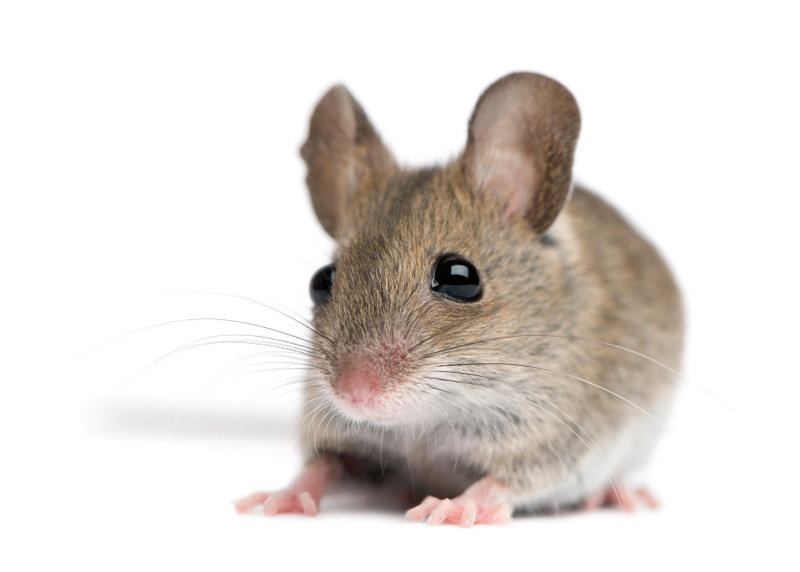 Hantavirus is carried by deer mice (Peromyscus maniculatus), which are present in Manitoba. Humans contract the virus through contact with mouse urine or droppings. Something as harmless as sweeping a shed or seeding a field (24) can become deadly when mouse waste is kicked up with dirt and dust and inhaled. Rural Manitobans – especially those involved in agriculture – are at risk. Over 50% of victims die. There is no cure. With climate change, more mice are expected to live, reproduce and infest human structures. And with them comes a greater threat of disease transmission.